Spring at Rooster Rock is where spring fever happens. Imagine the first warm, sunny days of spring where meadows of wild roses and the spicy scent of Oregon grape combine with an endless panorama of the Cascade mountains, blue sky and the deep blue waters of the Columbia River. During the first sunny days of spring, people suddenly call in sick at work or school. That's when our parking lot fills up! Three miles of river access brings out the crowds (sorry, no dogs on the beach). The river swimming serves visitors who want a natural experience. It's even more natural the farther east you go at Rooster Rock (where you'll find one of Oregon's two designated clothing optional beaches). By design, the clothing optional beach area is completely separate and not visible from the clothing-required area of the large park. The two areas coexist in harmony. Wintertime can be challenging, but it's paradise to those who love life on the edge. Windsurfers know this -- they come here when others stay away. When east winds barge down the Columbia Gorge at 25 to 40 mph, windsurfers come out of the woodwork to ride the whitecaps on the Columbia River. Winter wind speeds at Rooster Rock have been measured at 110 mph. In the winter, Rooster Rock becomes the gateway to recreation in the Gorge and the Cascades. 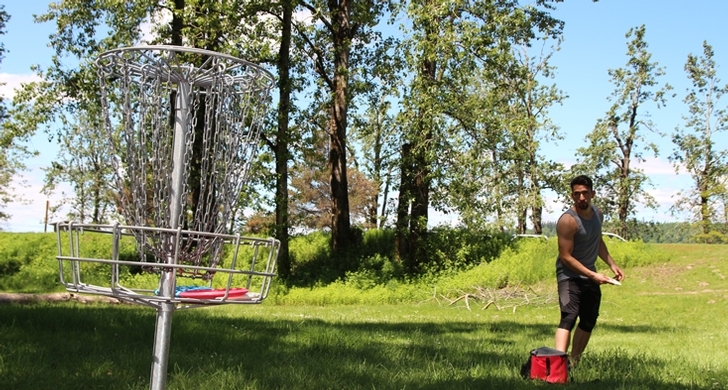 Rooster Rock offers not one, but two disc golf courses. The west course is fun and challenging for all skill levels. Looking to test your skill? Try the more technical east course. Our covered picnic shelters and tables serve families and groups of all sizes. 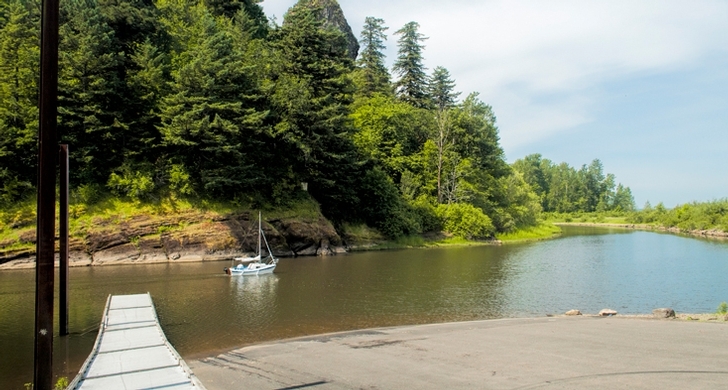 Rooster Rock's boat ramp is located in the scenic lagoon. 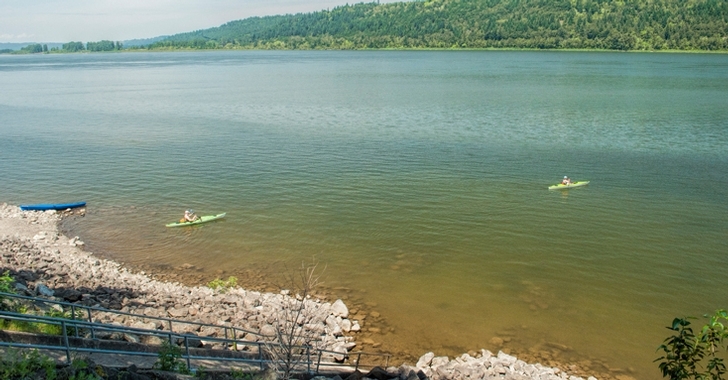 You'll find some of the best bass, steelhead and walleye fishing around here.